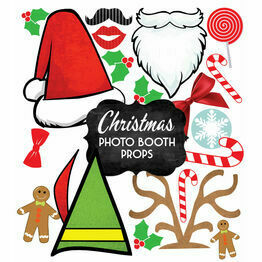 Our printable Christmas photo booth props and signs are perfect for getting the holiday party festive fun started! 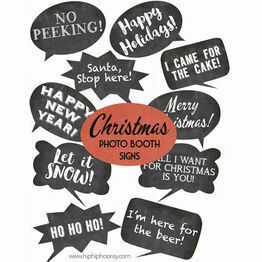 With a selection of seasonal speech bubble & slogan signs and colourful Christmas DIY props, there's something for everyone. Instant digital downloads you can print from home, great if you need something on the double!